After a glorious run over six seasons, Netflix bid farewell to it’s hugely popular show House of Cards this month. 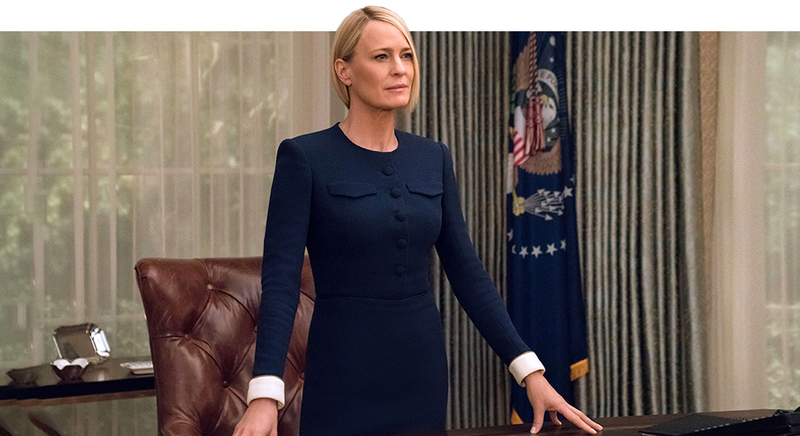 The last season focussed on Robin Wright’s character Claire Underwood who steps into the role of President after the mysterious death of her husband Francis. 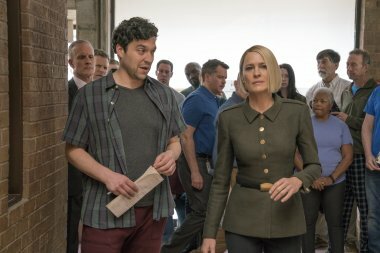 There was much drama outside the sets as well after Kevin Spacey was dropped from the show following allegations of sexual misconduct. Wright was instrumental in pulling the show together at a time of crisis and saving it from being scrapped all together. At a recent Netflix conference in Singapore, the actress addressed a group of journalists across Asia where she spoke about missing Claire’s power suits and heels and why she’s shifted her focus from acting to direction. That side of Claire was so much on the writers and their dependency on advisors from DC. So they had to ask, ‘If Claire Underwood and Francis did this, what would be the repercussions?’ And then we would get the answer from DC. That would then influence the scene that was written and the changes that would happen. Then I would come in and say I don’t think Claire would say one of those four lines because she’s a woman of few words, and that kind of alteration would build the arc of the scene. It opened a lot of doors and being able to play that fierce character is why I got Wonder Woman and Blade Runner because I had been typecast for so many years in this industry as the quiet, understanding wife. You do something and it wakes up casting directors and producers. They go ‘oh wow, she can do something like that’ and I’m thinking, I was always able to do it, you just didn’t let me. Kemal Harris, who was my stylist, agreed to come in three seasons ago just to focus on Claire. There was an agenda with us designing for the new season to ultimately get to a look that was militaristic. We wanted it to have that backdrop on her clothing. So the gold buttons on the presidential blues were supposed to be a little bit of a wink at an appellate. That was always a challenge because we would have an idea that we filmed but it wouldn’t air for another year. So it would have occurred in reality in between that time. Sometimes we would shoot a scene and it would happen in reality and then we would extract that scene and reshoot it. With the current administration, they literally stole all of our good ideas. Having tasted the field of directing, I don’t feel like an actress right now. I’m seeking out things to direct more than looking to act right now. Having become a director recently and still being in the nascent stage of it, I feel the benefit of watching directors give poor direction is probably greater. One of the things that stand out is never say to an actor ‘don’t put your hand like that’. The word ‘don’t’ is the most destructive for an actor. I just lost a film I really wanted to direct. It was a big studio movie and I lost it to a male director. I think they were like we just didn’t want to give it to the rookie. Well, the rookie is going to be banging on that door till they let me prove myself. And yes, I’m learning and I’m not that skilled. I haven’t had as much time under my belt as he has had. But I’ll only get better if you let me do it more. I would like to do a Woody Allen story with smart dialogue and then I would also like to do a love story. This one that I’m about to direct next winter is about a woman who loses her family from a terrorist bomb and how she deals with the grief and how we as a society try to pull people out of their grief and say ‘okay, it’s time to re-enter society’ and she can’t re-enter. She realises she can’t be good for society being that person and she goes out into the wilderness to literally live alone in the wild and she meets an American Indian man who teaches her how to love life again and not just be wallowing in your own. So it’s this beautiful love story about how to survive and how to love people again. The one that was so difficult as a director was that we never used certain lenses. I remember at one point when I got a little more confidence I said can you pull out the 75 mm and everyone went ‘Whaaat! You never use it in this show’. Literally when we went into the box, there were cobwebs in it. David (Fincher) was so smart as a director that I kind of want to slap him. He’s so smart about not conforming to a conventional way. Because we are in the West Wing there needs to be movement, and activity and chaos. He created a new portraiture of chaos. It’s very foreboding – the way he made his frames and the reason he says don’t use a 75MM. He gave me the greatest lesson. I called him the night before I was about to direct my first episode and I said, ‘You gave the template of the show and I’m going to adhere to it but I’m freaking out because I want to get tighter on the actor and we are not allowed to do it’. How do I achieve what I want without the equipment and he said, ‘I’m going to give you one thing to think about. You have to create a fraction which is behaviour over time. Everything you’re looking at, it doesn’t matter how wide you are. What is the behaviour going on in the room? That’s more important than the time you stay. So you can stay in that wide shot for 3 solid minutes if you’ve got ample behaviour going on.